Once upon a time, Turkey knocked on the door of the European Union like an uninvited party guest with a cheap bottle of wine to no avail. But now the Asian- European gateway nation is having the last laugh as Europe languishes in their economic downturn while Turkey skipped their money party, got an early night sleep and is now raring to go. Embracing Asian traditions and European simplicity, Istanbul has much to offer both for budget and non-budget — are there any of those left anymore? — travellers. Here are some suggestions of where to stay, people watch and drink in Istanbul. STAY: The Blue Mosque is a traditional and much photographed view of Istanbul and the Ibrahim Pasha’s terrace (Terzihane Sokak 5, Sultanahmet, +90 212 518 0394, doubles from €89 B&B) provides a clear view of the Istanbul skyline with a bar stocked enough to provide classic mojitos as you listen to the call to prayer. SEE: Sultans of the past housed their wives and concubines in the Topkapi Palace (Sultanahmet, +90 212 512 0480, topkapisarayi.gov.tr, TL20 (£7). Open Tue-Sun 9am-6pm, harem 9a.m.-5p.m.) and the building is constructed around a central Turkish bath. While you won’t get a hammam scrub here anymore, the building still hints at the past and the Turkish sultans who once bathed there. 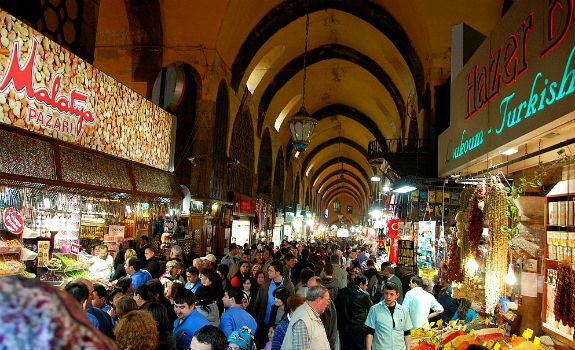 EXPERIENCE: Istanbul straddles Asian and European cultures and that is reflected in its cultural traditions. The Hodjapasha Culture Center (Hocapasa Hamam Sokak 5, Sirkeci) is the best place to catch the Whirling Dervish sema ceremonies and traditional dancing. For a more contemporary experience in heels check out the W Lounge (located in the W Hotel, Suleyman Seba Caddesi 22, Akaretler, Besiktas) where the house DJ and special guests from all over provide beats as a backdrop to some serious cosmpolitans and mojitos. HEART AND SOUL: Istanbul is over 90% muslim but the nation remains committed to a fiercely protected secular tradition. Unlike other cities with a similar religious structure, Turkey’s crown jewel reflects the characteristics of modern European cities, like the street bars of Paris and the artistic tendencies of Berlin. Istanbul is truly one of the only locations where Asia and Europe gently collide. PEOPLE WATCH AND EAT: As a London girl we have a time honoured tradition as old as the Queens corgis and Buckingham Palace and it’s eating kebabs. After a night out, the kebab shops of East London are heaving with people attempting to soak up that last ill advised tequila shot. But in Turkey the traditional kebabs are lovingly crafted rather than flung across a counter in a plastic container. Try Molla Fenari Mah (Medrese Sok No 2, Çemberlitaş, +90 212 526 1613) the restaurant has no website but makes up for their lack in technology with taste.